The weather was looking pretty good today, and Hello Kitty was out enjoying a girls' lunch, so I decided to take my drone for an outing. 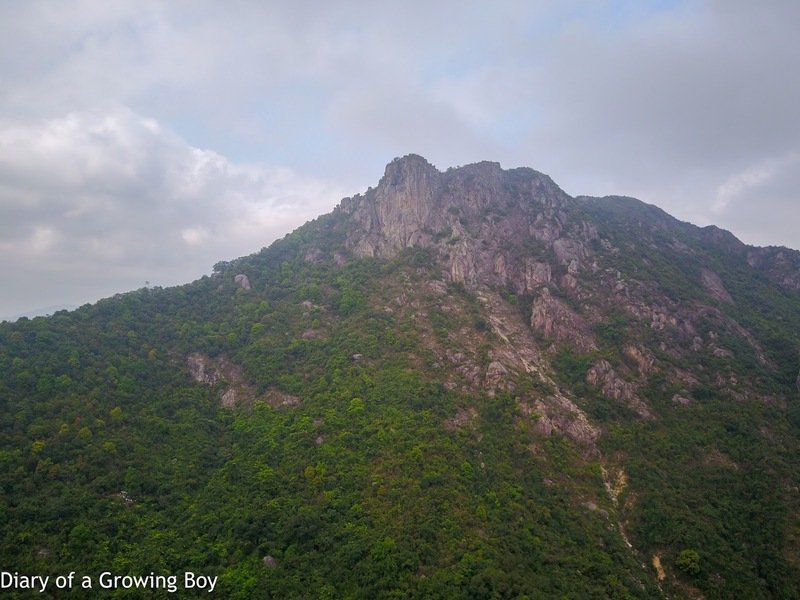 Lion Rock (獅子山) has long been considered a symbol of the indomitable spirit of the Hong Kong, and over the last couple of years, banners demanding "real democratic election" would be hung from the top of the mountain from time to time. I figured that it would make for an interesting shoot. Public transport to the spot was surprisingly easy, and a few minutes after getting off the bus, I found myself in Lion Rock Park (獅子山公園). I found a flat and open area away from the crowds, and launched my DJI Mavic Pro up in the air. Unfortunately, even though the top of the rock isn't above the height limit set by the drone, the trees around me - and perhaps the presence of power lines nearby - caused me to lose connection with the drone. 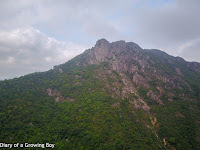 I got close to the top, but wasn't able to fly above or get right in front of the peak for a better shot. I made a second attempt from a slightly higher location, but the result was kinda the same. Towards the end my gimbal was starting to behave erratically and I was getting error messages about "gimbal motor overload", so I figured I shouldn't risk it any further. I called the drone home.